Statistics is like a “bikini”. It reveals what is essential and hides what is vital. I’m against statistics as well as econometrics, because it hampers the progress of economics and concludes up the theorem of ‘hindu rate of growth’, in practice. Unfortunately, economists do not ask ‘more’ hard questions before admitting official data into their analyses. All these economists as well as modibhakts are all for state-interventionism and statism, in general. They have unsound knowledge, because they do not give priorities in reading books on economics by Ludwig von Mises, David Gordon, Hans Herman-Hoppe, etc. In the natural sciences, a laboratory experiment can isolate various elements and their movements. There is no equivalent in the discipline of economics. The employment of econometrics and econometric model-building is an attempt to produce a laboratory where controlled experiments can be conducted. The idea of having such a laboratory is very appealing to economists and politicians. Once the model is built and endorsed as a good replica of the economy, politicians can evaluate the outcomes of various policies. This, it is argued, enhances the efficiency of government policies and thus leads to a better and more prosperous economy. It is also suggested that the model can serve as a referee in assessing the validity of various economic ideas. The other purpose of a model is to provide an indication regarding the future. By means of mathematical and statistical methods, an econometrician establishes functional relationships between various economic variables. For example, personal consumer outlays are related to personal disposable income and interest rates, while fixed capital spending is explained by the past stock of capital, interest rates, and economic activity. A collection of such various estimated relations—i.e., equations—constitutes an econometric model. By applying mathematics, mainstream economics is attempting to follow in the footsteps of natural sciences. In the natural sciences, the employment of mathematics enables scientists to formulate the essential nature of objects. In short, by means of a mathematical formula, the response of objects to a particular stimulus in a given condition is captured. Consequently, within these given conditions, the same response will be obtained time and again. The same approach, however, is not valid in economics. For economics is supposed to deal with human beings and not objects. Mathematics can sometimes make smart people dumb. Let me explain what I mean by this. I don’t mean that it is dumb not to be good at mathematics. After all, mathematics is a highly abstract and challenging discipline requiring many years (decades even) of study, and there are plenty of very smart people who have little understanding of it, and little ability to use it. What I mean is that mathematics quite often bamboozles people into accepting very silly arguments — arguments that are so silly that if you stated them without draping them in mathematical negligee, you would instantly become an object of ridicule to all those people who flunked out at basic algebra back in high school. The danger of mathematical arguments is that a person can sometimes follow an absurd path of reasoning without being alerted to its absurdity, due to the fact that their mind is so lost in the verbiage of mathematical equations that their common sense fails to penetrate it. As an economics teacher, I have to guard against this problem constantly in my students. One of the main difficulties in teaching applied mathematics is that students can become bamboozled by the mathematical machinery they are using, to the detriment of their ability to reason sensibly about the nature of the problem that the mathematics is designed to describe. Mathematics is meant to augment logical argument, by providing the ability to clearly define a problem, and to ensure that all necessary assumptions are made explicit in the analysis. Its advantage over “literary” argumentative methods (when used properly) is that it ensures that the analyst is not making assumptions that he is unaware of, and is not making leaps in argument that are illogical. However, when mathematical arguments are used to obscure, rather than enlighten, the result is that they tend to hide assumptions that are being made. When mathematical arguments prove too much, it is often as a result of faulty assumptions. If an applied mathematical argument leads to a conclusion that is highly counterintuitive, or if the form of argument can be deployed just as effectively to prove other conclusions that is highly counterintuitive, then this is good reason to further scrutinize the assumptions made in the argument. Mathematics is a fascinating and powerful discipline, and one that I love a great deal. Enjoy it to the extent that you are able. But, as Russian writer Ayn Rand used to say, check your premises! The problems of prices and costs have been treated also with mathematical methods. There have even been economists who held that the only appropriate method of dealing with economic problems is the mathematical method and who derided the logical economists as “literary” economists. If this antagonism between the logical and the mathematical economists were merely a disagreement concerning the most adequate procedure to be applied in the study of economics, it would be superfluous to pay attention to it. The better method would prove its pre-eminence by bringing about better results. It may also be that different varieties of procedure are necessary for the solution of different problems and that for some of them one method is more useful than the other. The fundamental error implied in this reasoning has been shown above. Experience of economic history is always experience of complex phenomena. It can never convey knowledge of the kind the experimenter abstracts from a laboratory experiment. Statistics is a method for the presentation of historical facts concerning prices and other relevant data of human action. 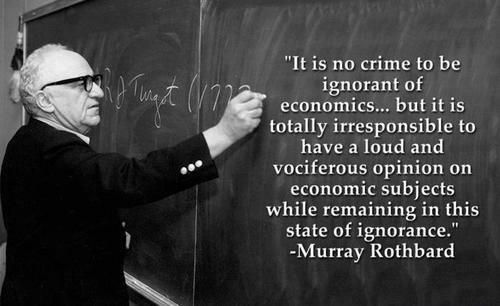 It is not economics and cannot produce economic theorems and theories. The statistics of prices is economic history. The insight that, ceteris paribus, an increase in demand must result in an increase in prices is not derived from experience. Nobody ever was or ever will be in a position to observe a change in one of the market data ceteris paribus. There is no such thing as quantitative economics. All economic quantities we know about are data of economic history. No reasonable man can contend that the relations between price and supply are, in general or in respect of certain commodities, constant. We know, on the contrary, that external phenomena affect different people in different ways, that the reactions of the same people to the same external events vary, and that it is not possible to assign individuals to classes of men reacting in the same way. This insight is a product of our aprioristic theory. It is true the empiricists reject this theory; they pretend that they aim to learn only from historical experience. However, they contradict their own principles as soon as they pass beyond the unadulterated recording of individual single prices and begin to construct series and to compute averages. A datum of experience and a statistical fact is only a price paid at a definite time and a definite place for a definite quantity of a certain commodity. The arrangement of various price data in groups and the computation of averages are guided by theoretical deliberations which are logically and temporally antecedent. The extent to which certain attending features and circumstantial contingencies of the price data concerned are taken or not taken into consideration depends on theoretical reasoning of the same kind. In dealing with these problems the mathematical economists disregard the operation of the market process and moreover pretend to abstract from the use of money inherent in all economic calculations. However, as they speak of prices and costs in general and confront prices and costs, they tacitly imply the existence and the use of money. Prices are always money prices, and costs cannot be taken into account in economic calculation if not expressed in terms of money. If one does not resort to terms of money, costs are expressed in complex quantities of diverse goods and services to be expended for the procurement of a product. On the other hand, prices — if this term is applicable at all to exchange ratios determined by barter — are the enumeration of quantities of various goods against which the “seller” can exchange a definite supply. The goods which are referred to in such “prices” are not the same to which the “costs” refer. A comparison of such prices in kind and costs in kind is not feasible. That the seller values the goods he gives away less than those he receives in exchange for them, that the seller and the buyer disagree with regard to the subjective valuation of the two goods exchanged, and that an entrepreneur embarks upon a project only if he expects to receive for the product goods that he values higher than those expended in their production, all this we know already on the ground of praxeological comprehension. It is this aprioristic knowledge that enables us to anticipate the conduct of an entrepreneur who is in a position to resort to economic calculation. But the mathematical economist deludes himself when he pretends to treat these problems in a more general way by omitting any reference to terms of money. It is vain to investigate instances of nonperfect divisibility of factors of production without reference to economic calculation in terms of money. Such a scrutiny can never go beyond the knowledge already available; namely that every entrepreneur is intent upon producing those articles the sale of which will bring him proceeds that he values higher than the total complex of goods expended in their production. But if there is no indirect exchange and if no medium of exchange is in common use, he can succeed, provided he has correctly anticipated the future state of the market, only if he is endowed with a superhuman intellect. He would have to take in at a glance all exchange ratios determined at the market in such a way as to assign in his deliberations precisely the place due to every good according to these ratios. The characteristic mark of this third group is that they are openly and consciously intent upon solving catallactic problems without any reference to the market process. Their ideal is to construct an economic theory according to the pattern of mechanics. They again and again resort to analogies with classical mechanics which in their opinion is the unique and absolute model of scientific inquiry. There is no need to explain again why this analogy is superficial and misleading and in what respects purposive human action radically differs from motion, the subject matter of mechanics. It is enough to stress one point, viz., and the practical significance of the differential equations in both fields. The deliberations which result in the formulation of an equation are necessarily of a nonmathematical character. The formulation of the equation is the consummation of our knowledge; it does not directly enlarge our knowledge. Yet, in mechanics, the equation can render very important practical services. As there exists constant relations between various mechanical elements and as these relations can be ascertained by experiments, it becomes possible to use equations for the solution of definite technological problems. Our modern industrial civilization is mainly an accomplishment of this utilization of the differential equations of physics. No such constant relations exist, however, between economic elements. The equations formulated by mathematical economics remain a useless piece of mental gymnastics and would remain so even it they were to express much more than they really do. A sound economic deliberation must never forget these two fundamental principles of the theory of value: First, valuing those results in action always means preferring and setting aside; it never means equivalence or indifference. Second, there is no means of comparing the valuations of different individuals or the valuations of the same individuals at different instants other than by establishing whether or not they arrange the alternatives in question in the same order of preference. In the imaginary construction of the evenly rotating economy, all factors of production are employed in such a way that each of them renders the most valuable service. No thinkable and possible change could improve the state of satisfaction; no factor is employed for the satisfaction of a need a if this employment prevents the satisfaction of a need b that is considered more valuable than the satisfaction of a. It is, of course, possible to describe this imaginary state of the allocation of resources in differential equations and to visualize it graphically in curves. But such devices do not assert anything about the market process. They merely mark out an imaginary situation in which the market process would cease to operate. The mathematical economists disregard the whole theoretical elucidation of the market process and evasively amuse themselves with an auxiliary notion employed in its context and devoid of any sense when used outside of this context. In physics we are faced with changes occurring in various sense phenomena. We discover regularity in the sequence of these changes and these observations lead us to the construction of a science of physics. We know nothing about the ultimate forces actuating these changes. They are, for the searching mind, ultimately given and defy any further analysis. What we know from observation is the regular concatenation of various observable entities and attributes. It is this mutual interdependence of data that the physicist describes in differential equations. In praxeology, the first fact we know is that men are purposively intent upon bringing about some changes. It is this knowledge that integrates the subject matter of praxeology and differentiates it from the subject matter of the natural sciences. We know the forces behind the changes, and this aprioristic knowledge leads us to cognition of the praxeological processes. The physicist does not know what electricity “is.” He knows only phenomena attributed to something called electricity. But the economist knows what actuates the market process. It is only thanks to this knowledge that he is in a position to distinguish market phenomena from other phenomena and to describe the market process. Now, the mathematical economist does not contribute anything to the elucidation of the market process. He merely describes an auxiliary makeshift employed by the logical economists as a limiting notion, the definition of a state of affairs in which there is no longer any action and the market process has come to a standstill. That is all he can say. What the logical economist sets forth in words when defining the imaginary constructions of the final state of rest and the evenly rotating economy and what the mathematical economist himself must describe in words before he embarks upon his mathematical work, is translated into algebraic symbols. A superficial analogy is spun out too long, that is all. Both the logical and the mathematical economists assert that human action ultimately aims at the establishment of such a state of equilibrium and would reach it if all further changes in data were to cease. But the logical economist knows much more than that. He shows how the activities of enterprising men, the promoters and speculators, eager to profit from discrepancies in the price structure, tend toward eradicating such discrepancies and thereby also toward blotting out the sources of entrepreneurial profit and loss. He shows how this process would finally result in the establishment of the evenly rotating economy. This is the task of economic theory. The mathematical description of various states of equilibrium is mere play. The problem is the analysis of the market process. Economics is not about goods and services; it is about the actions of living men. Its goal is not to dwell upon imaginary constructions such as equilibrium. These constructions are only tools of reasoning. The sole task of economics is analysis of the actions of men, is the analysis of processes.